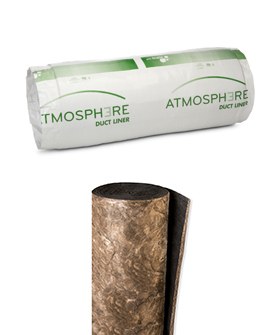 Atmosphere Duct Liner is a flexible, mat-faced insulation with a tightly bonded mat to provide a smooth, tough surface that resists damage. Designed as a formaldehyde-free insulation for the interior of sheet metal ducts used in HVAC, this product provides a combination of sound absorption, low thermal conductivity and minimal airstream surface friction. Wall and Ceiling Liner M is a formaldehyde-free brown flexible glass mineral wool blanket with a black mat facing adhered to one surface. 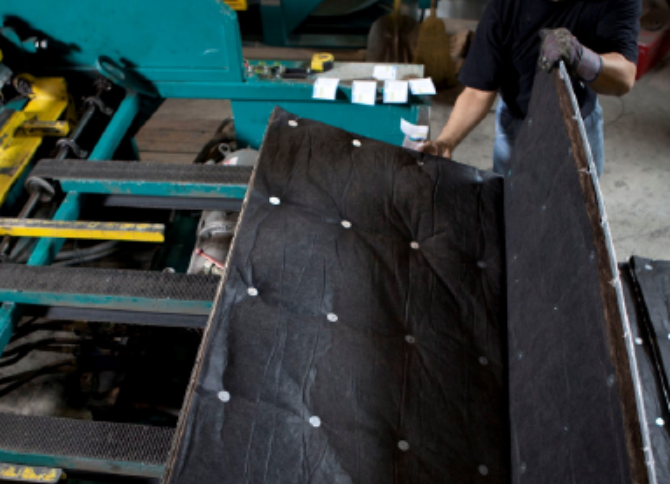 It provides thermal and acoustical insulation for theaters and spaces.